The first novel in 20 years from the author of The God of Small Things, The Ministry of Utmost Happiness begins with the story of a young Delhi hermaphrodite named Anjum, and continues onward as an intimate journey of many years across the Indian subcontinent—from the cramped neighborhoods of Old Dehli and the roads of the new city to the mountains and valleys of Kashmir and beyond, where war is peace and peace is war. Truly, this is a remarkable creation, a story both intimate and international, swelling with comedy and outrage, a tale that cradles the world’s most fragile people even while it assaults the Subcontinent’s most brutal villains. It will not convert Roy’s political enemies, but it will surely blast past them. Here are sentences that feel athletic enough to sprint on for pages, feinting in different directions at once, dropping disparate allusions, tossing off witty asides, refracting competing ironies. This is writing that swirls so hypnotically that it doesn’t feel like words on paper so much as ink in water. Every paragraph dares you to keep up, forcing you finally to stop asking questions, to stop grasping for chronology and just trust her ... [it] will leave you awed by the heat of its anger and the depth of its compassion. ...a fierce and fabulously disobedient novel, a book as fearless as her essays on the environment, nuclear proliferation, and Kashmiri independence are bold ... announces itself page by page in noisy, foul-mouthed, and staggeringly beautiful sentences. In moments it reads like a feminist version of Salman Rushdie’s Midnight’s Children, only in Delhi instead of Bombay, 70 years after the partition of India and Pakistan, the event that sits at the heart of both books ... Roy shows how sectarian hatred and violence shapes lives in a series of interlocking stories so fully realized they both feel intimate yet vibrate with the tragicomedy of myth ... Once a decade, if we are lucky, a novel emerges from the cinder pit of living that asks what increasingly appears to be the urgent question of our global era. How do you write fiction in an era when states are deformed by the violence they do in the name of nationalism and power? 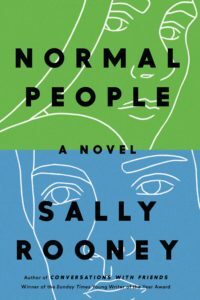 Roy’s novel is this decade’s ecstatic and necessary answer. ...an ambitious but highly discursive novel that eventually builds to a moving conclusion but bogs down, badly, in the middle, and is sometimes so lacking in centripetal force that it threatens to fly apart into pieces ... These horrifying incidents, and Roy’s introduction of myriad minor characters, however, do not result in a Bruegel-esque portrait of a country but instead feel like poorly stage-managed detours from the compelling stories of Roy’s two heroines ... Clearly, the intervening years of writing often didactic nonfiction — on subjects like nuclear tests, political corruption and Hindu extremism — have not damaged her gift for poetic description or her ability to map the complicated arithmetic of love and belonging...It’s when Roy turns from the specifics of her characters’ lives and tries to generalize about the plight of India that her writing can grow labored and portentous ... Happily for the reader who perseveres through such strained passages, Roy weaves the stories of Tilo and Anjum together in the novel’s musical and beautifully orchestrated conclusion — an ending that manages to extract hope from the copious tragedies these people have witnessed, a glimpse of the future in lives so burdened by the past. 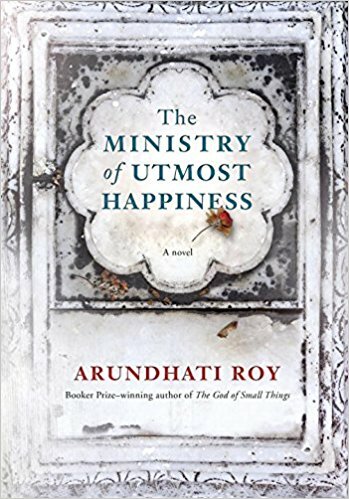 What did you think of The Ministry of Utmost Happiness?